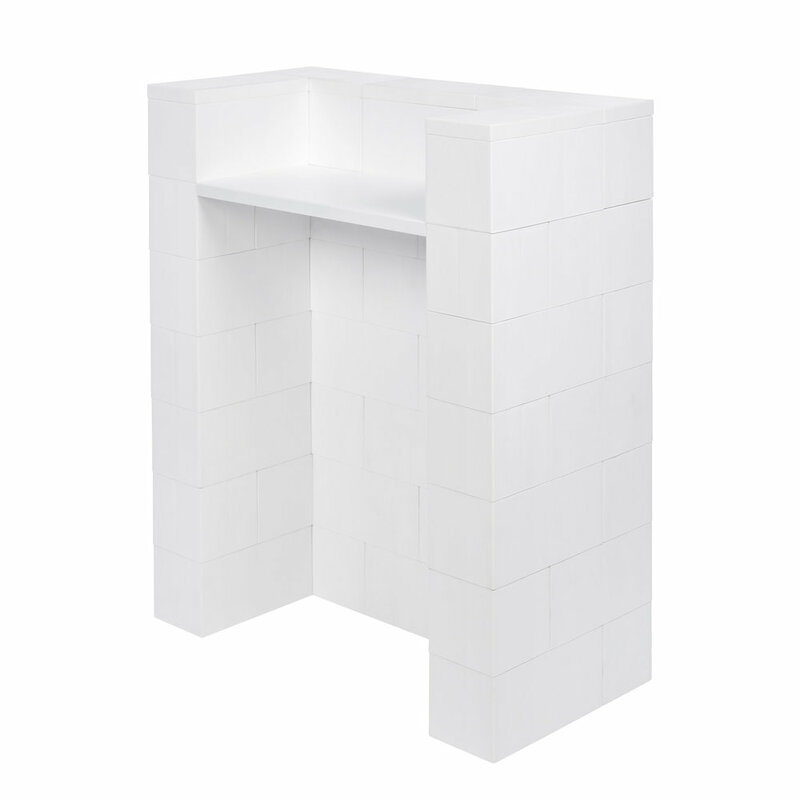 EverBlock may be used to create all types of modular podiums, modular lecterns, modular pulpits and other stands. EverBlock is ideal for all types of modular furniture and do-it-yourself furniture projects for event, office, and home furniture. 32 Full Blocks, 6 Half Blocks, 5 Finishing Caps, and 1 Shelf 36"
36 Full Blocks, 8 Half Blocks, 5 Finishing Caps, and 1 Shelf 36"